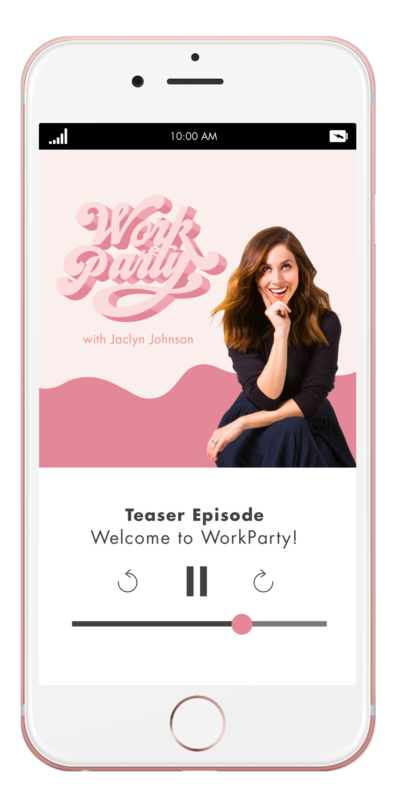 WorkParty the podcast is now officially live! To give you some background before listening (if you haven't already listened to episodes one and two! ), we're featuring a well-seasoned expert into every episode of WorkParty. For our second podcast, Jaclyn Johnson chatted with Jihan Zencirli, visual artist and creator of Geronimo. After realizing that she could build a luxury and fine arts brand from her balloon creations, she fully went for it and essentially created this secondary market that wouldn't have been as popular today without her. If you're a creative struggling with how to kick your big idea into gear, Jihan has a few pointers you can learn from. From learning how to properly price your goods or services, to dealing with copycats and imitations, Jihan covers all bases that artists will come face to face with throughout their careers. Ahead, some takeaways to check out before listening. Like a lot of us, Jihan didn't initially think of charging money for something that she saw as fun and as her passion. It wasn't until she was offered cash by a stranger looking for balloons for her husband's birthday celebration, that she thought she could make this work. She turned to a mentor (again, #relatable), and shared her initial pricing plan for the business. Her mentor convinced her to charge triple or quadruple of her suggested price, and it was the best advice she'd ever received. In her case, having a clientele feel like they're purchasing a luxury item is what works. Today, we see intricate balloon installations everywhere, but Jihan opened the door for future balloon artistry. Without Jihan, there wouldn't be this market and there wouldn't be jobs and revenue for so many people in the same niche. She put it simply: "It's an honor to be knocked off in such a viral, big way." But that doesn't mean it doesn't get annoying when others want ownership and full credit for an idea that wasn't there's. Listen to the full episode for her real, honest opinion on the matter. What is more genuine than a single artist standing behind their art and offering it to the world? Nothing, because there isn't an honest artist campaign that would work without the actual artist. Like every creative out there, Jihan only gets involved in projects that are true to her. This has to be my thing, this always has to represent me, my core values, my beliefs, my colors," she explained.